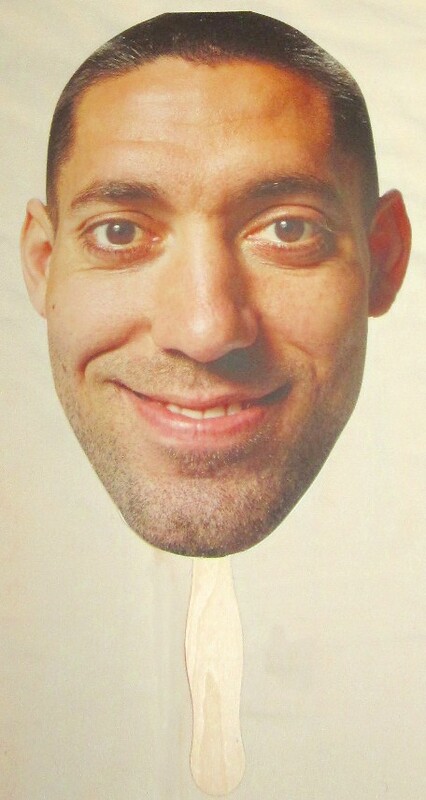 Larger than life size officially licensed U.S. Soccer promo fan featuring the face of superstar Clint Dempsey on a wooden stick. Made with heavy UV coated cardboard. The face portion alone is about 12 inches long. MINT.